Don’t make boxes too heavy -books are a real offender. Pack fragile items with plenty of wrapping (blankets, towels, bubble wrap). Mark these boxes ~FRAGILE. Pack CDs and records vertically NOT flat. Remove lids from jars and wrap separately. Take large items apart if possible. Put any hardware e.g. screws in a plastic bag and tape to the item. If you have the original boxes for electrical appliances pack them back into these. Keep clothes in drawers, not boxes or bags. Cover mirrors and pictures in cardboard or bubble wrap. Roll carpets and rugs and secure with tape. Wrap sharp edges on items. Pack all personal documents or valuable jewellery/items together and transport them yourself. If you have the time, a master list of what is in each box can be helpful. You don’t want to move everything twice so mark all boxes with the names of the rooms for which they are intended. 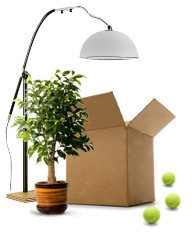 Give movers a plan of your new home with all the rooms clearly marked. You might even consider a colour-coded system. Give each room a colour and write on the box in the same colour pen. 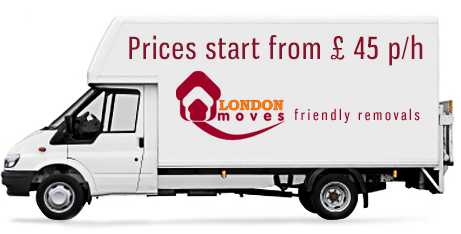 Relax – LondonMoves is here. Pack the last bits – But not the kettle, mugs and tea bags. Youíre going to be needing them. Watch – As a supremely professional man with a van expertly loads your belongings into a safe, modern vehicle. Point – Direct traffic in your new home as your things are brought in through your new front door. Sit – Slump into your favourite armchair with a glass of your favourite tipple and start planning your new colour schemes.